Who Is Calvin Ayre? - Casino Answers! Casino Answers » Casino Trivia » Who Is Calvin Ayre? Calvin Ayre is a Canadian businessman, most famous as the creator of the Bodog entertainment brand. The Bodog brand is recognized mostly as a gambling website but it also has interests in music recording, TV shows and beverage trading among others. The Bodog brand has covered a variety of various products over the years including its own fight league. Ayre was born in Lloydminster, Canada in May 1961. His parents were both farmers and they were instrumental in instilling entrepreneurial skills in him. When he was young, his father have him his own baby pigs to tend for and sell, and allowed him to keep the proceeds when he succeeded in finding buyers. His entrepreneurial career took off and he paid for his own university tuition by renting a truck and using it to transport and sell fruits from British Columbia across the country. Ayre studied for a BSc in Genera Sciences from the University of Waterloo in 1984 and then received an MBA in Management Finance from the City University of Seattle in 1989. After a brief stint in stock trading which ended with him being banished from the Vancouver Stock Exchange for insider trading, Ayre started an internet incubator company in Vancouver. Being an avid gambler, Arye soon realized that there was a gaping demand for online gambling platforms. Sensing opportunity, he converted his internet company into an online gambling support software which he named Bodog. He licensed his software to various online casinos but he realized there was much more profit to be had by setting up his own gaming operation, which would ultimately be Bodog Casino. In 1996, he traveled to Costa Rica to study the emerging art of online gambling more closely. In 2000, he launched online gambling site Bodog.com, making his now popular persona the face of the company. His ‘bad boy’ personality and good looks were a great marketing tool and the operation was a huge success. This ploy was highly avoided by other online betting operators at the time because of the shady nature of the business. Using his image helped his company to gain the trust of customers while also helping him to target the 18-40 year-old demographic, the typical age group for sports bettors. His site accepted small wagers from casual bettors to those as high as $5,000. Because internet gambling was illegal in the United States, used a clever system where payments to and from players were made electronically from US accounts to Bodog’s accounts in the UK. In 2005, the company had a turnover of $7.3 billion and a profit of $200 million. Ayre further popularized the company through buying advertisement on US TV, and wild events such as the Lingerie Bowl. His rapport and public appearances with celebrities also endeared him further to the public and grew his image. He took a leaf from his professed role model, Virgin brand owner Richard Branson, by diversifying his business portfolio through Bodog Fights, a company which organized MMA fights and Bodog Music record label which signed musicians like DMX and Wu Tang Clan. In 2006, Bodog hit its first major snag when the US passed the Unlawful Internet Gambling Enforcement Act which sought to curtail gambling websites and banking institutions which supported them. Ayre decided to withdraw from the US market, and licensed the Bodog brand name to Morris Hawking Group based in Canada. He also announced his retirement from gambling but the US government sought to prosecute him for infringements to the law made even before the UIGEA were passed. However, being a non-resident of the US, he remains beyond the reach of the US government. In 2009 he announced the end of retirement and launched CalvinArye.com, a gambling industry news and website, and also revived Bodog as a licensing business. Despite moving most of his operations to Costa Rica, where there are no gambling laws, customers continued to flow. He fragmented the business to exploit loopholes in different markets by wiring money to the UK, processing bets in Costa Rica and developing marketing in Canada and advertising in the US. By his own admission the business he runs cannot legally be described as gambling in each country where it operates but when “you add it altogether” it is internet gambling. In 2012, Arye and three other associates were indicted in the US on charges of illegal gambling and money laundering and the Homeland Security placed his image online as one of the 10 most wanted fugitives. He remained unshaken and posted various messages on social media as he enjoyed himself in Antigua and Costa Rica with a bevy of beautiful women. 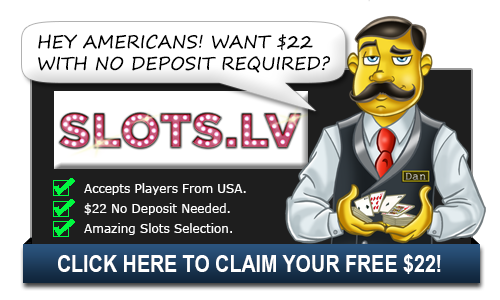 3 Lucky Red Casino $4000 in Bonus Money, High Roller Popular Choice! Is Bodog Casino still around? Yes. However the group behind it have expanded into other brands. Bodog Casino is now restricted to just Canadians. Who owns Bodog? Who owned Bodog Fight?